Buying coffee from a fancy coffee shop or café is a luxury few can afford on a regular basis; it would be nice to be able to enjoy this treat every day but it can be costly and it isn’t really all that convenient. With an on demand brewing system it is easy to make and enjoy Starbucks® coffee K-Cup® style whenever you want, at a cost of just pennies per cup. On demand brewing systems make it easy to produce barista-style coffee with a press of a button and it takes less than one minute to make. Single serve coffee makers look somewhat like conventional electric drip coffee makers and take up about the same amount of counter space but they operate in a very different fashion. To begin with, the coffee is brewed by the cup instead of by the pot and there is no coffee pot or warming plate. This means there is less to clean plus you never worry about whether or not you remembered to unplug the coffee pot. The coffee is fresh, hot and flavorful because it brews directly into a mug, cup or glass; it is never scorched or stale from sitting around for hours on end. With an on demand brewer you can easily enjoy all the same great coffee flavors, roasts and blends you get at Bedbathandbeyond.com – get ready to savor Kona and gourmet coffee K-Cup® style any time. 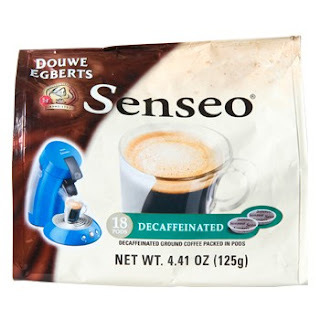 The on demand brewing systems use regular and decaffeinated coffee pods to make the coffee; there are many different formats with K-Cup® being one of the most popular. For the best variety it’s a good idea to buy sampler packs so you have plenty of choices. I want to try this product but I should get the smaller packs first :) There are many coffee-shop-like-ready-to-mix coffee powder in the market now. My hubby is a coffee drinker. He can't start his day without drinking a few big cups of coffee. I am not really a coffee drinker, but for those that do that product seems like it is worth at least a try. I always wanted to have a coffee maker for my own consumption in the office. This one's a good option. I honestly really couldn't identify the difference of Barista from other types of coffee. Nevertheless, I learned something today.